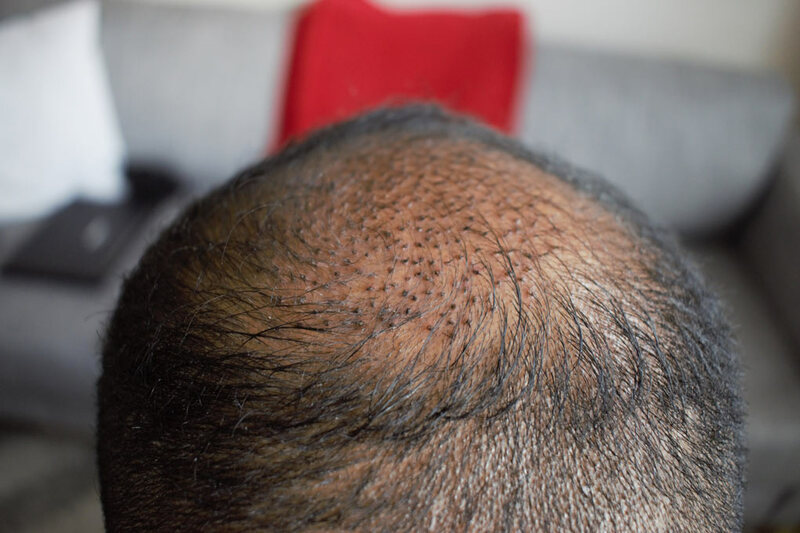 A crown hair transplant uses the hair taken from the back and the sides of the head and transfers this hair to the crown area. Thinking about having a crown hair transplant? This blog will help you find out more about the procedure and what you need to consider. The crown of your hair is also called your “hair whorl”. This is a spiral of hair at the back of your head. You might sometimes see that you have 2 hair whorls in your crown- a so called “double crown”. This is also normal. As part of the process of male pattern baldness, you may notice your hair starting to become thin in your crown. This is because dihydrotestosterone (DHT) targets not only the hairs on the front and top of your head but also your crown. 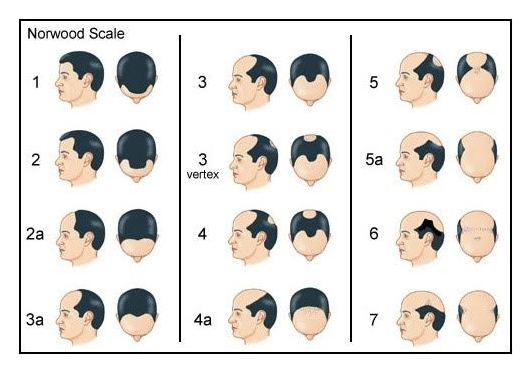 This is depicted in the Norwood scale for male pattern baldness, (see below). You will notice that the crown can be affected in male pattern baldness. In some men the crown can thin and bald quicker than the front of the head. In others it can thin and become bald over time in keeping with the natural progression of male pattern baldness. For example you may realise you have reached Norwood 3 Vertex in your mid 30s or 40s. Some cases of male pattern baldness can be rapid, with crown and frontal hair thinning & loss by the age of 25-30. This is of course unfortunate for those who value having hair on their head! Is crown hair loss different? Losing hair on your crown can appear different to balding on the front. The underlying process that drives crown and frontal hair balding is the same. However, there are subtle differences that mean they look very different. You can see that there are still lots of hairs in this gentleman’s crown but as they have thinned, more scalp is now visible. This has consequences for crown hair loss treatment. The visible scalp in crown hair thinning means treatment can have be really beneficial. 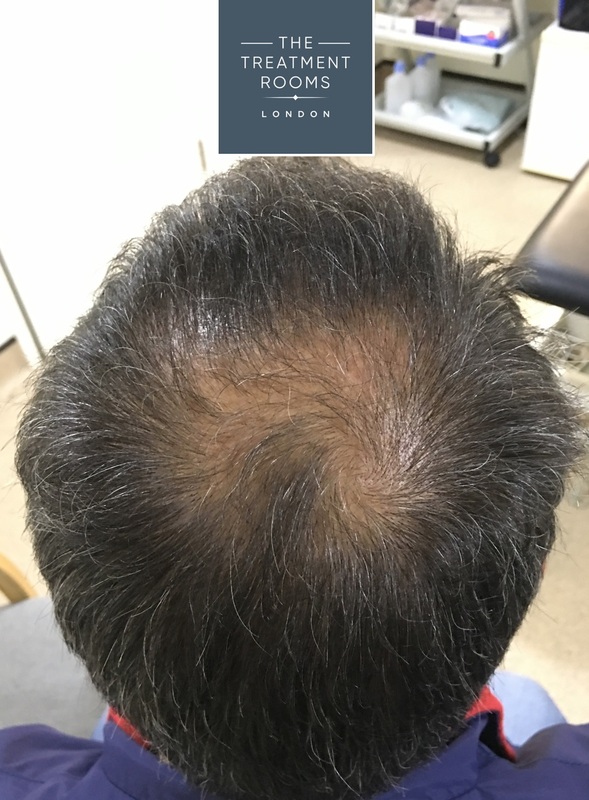 By using treatment like Finasteride, Minoxidil and in some cases PRP injections, you can increase the density of each hair and therefore hide any visible scalp. This means that by treating hair loss you have a secondary bonus of hiding signs of crown hair loss and balding. Have a look at the case below. You will notice he has thinning and balding in his crown. By taking treatment to promote hair growth and thicken hair he has treated his hair loss and hidden more scalp in his crown. This has reversed his Norwood 3 Vertex/4 to a Norwood 2a/3a. What about a crown hair transplant? Unlike hair transplants to the front of the head, crown hair transplants generally require a lot more hair. This is because of the angle with which you look at the crown. Take the picture above for an example. We are looking directly down onto the gentleman’s crown. Each hair is pointed directly at us and therefore less of the hair shaft is covering the surface of the scalp from our viewpoint. This means more scalp is visible. For this reason, when we perform hair transplants on the crown we require much greater numbers of hairs. This allows us to cover more area in the crown and make the signs of hair loss less obvious. Are your hairs thick or thin? If you need a high number of grafts (e.g. >1500 follicles) then how will your surgeon plan the operation to make sure they all survive? If it is a lengthy procedure should you and your surgeon consider splitting the operation over 2 sessions? Crown hair transplants can also be tricky to take care of once you have finished your operation. Because new grafts have been put into your crown, sleeping at night can be problematic. You might need to sleep at an angle to make sure you protect your grafts in the first 14 days. As the grafts are at the back of your head you might find you forget that they are there! We have had a few patients bump their heads getting in and out of cars in the first few days after the operation. This is particularly problematic on the day of the operation. As you have had your head numbed, your ability to know where the top of your head is in relation to ceilings, roofs and doors can be impaired. Going through this journey with your hair transplant surgeon is important. They need to make you aware of all the nuisances that you might encounter in the days following your operation. As we have mentioned before, choosing to undergo a hair transplant should be a well thought out decision, (click here to read blog). A crown hair transplant has some extra points you need to consider (as described above). 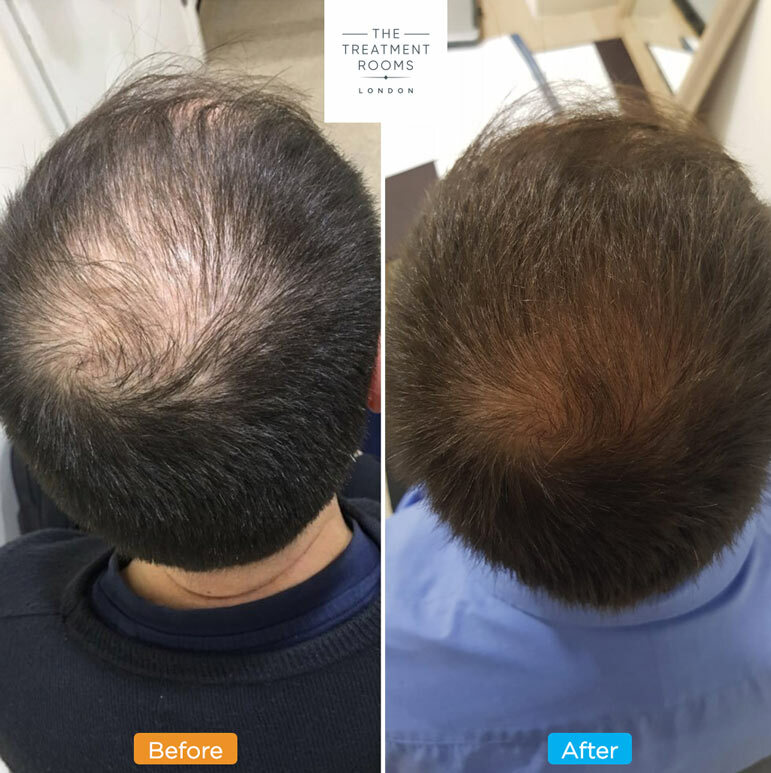 At The Treatment Rooms London we welcome new patients exploring treatment options for their hair loss. This includes having a crown hair transplant. Feel free to contact us today and book your free initial consultation, (click here).